Picture, if you will, an open room filled with sunlight streaming through the large windows lining the surrounding walls. The sound of the ocean waves are gently crashing against the sand as a gentle breeze flows through the room. You and your family are relaxing together, laughing, singing, and simply enjoying each other’s presence. These incredible moments seem to be few and far between these days. Life has become more about jobs, extracurriculars, and devices rather than family time and enveloping oneself in the beauty of the present moment. 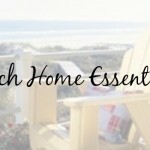 This is why creating just the right ambiance in your beach house living room is essential. Your beach house is your escape from the world; the one place you can go and let the world fade away. 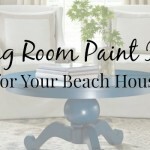 These coastal living room décor ideas pair comfort with beauty and provide an environment that can be enjoyed whether you are hosting a dinner party or a pajama party. If you are blessed with a beach house that has numerous windows that provide a natural, breathtaking view, why not use this space to your advantage? We loved this living room from Sand and Sisal because the sitting area is surrounded by these amazing windows. You get the feeling as if you are sitting right on the beach yet have the comfort of being in your living room. 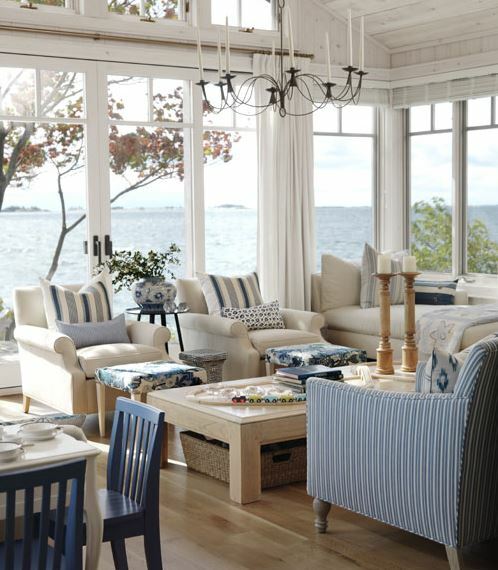 The balance of blue and white is perfect to set that coastal living feel. 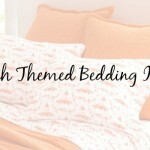 Decorate with candles, starfish, coral or shells to complete the look. The chandelier the designers chose is essential to round out the rustic, homey feeling. The evenings at the beach can get a wee bit chilly, especially this time of year. That’s why it’s never a bad idea to include a fireplace in your beach house living area. What could be cozier than a crackling fire after a day of sun and surf? 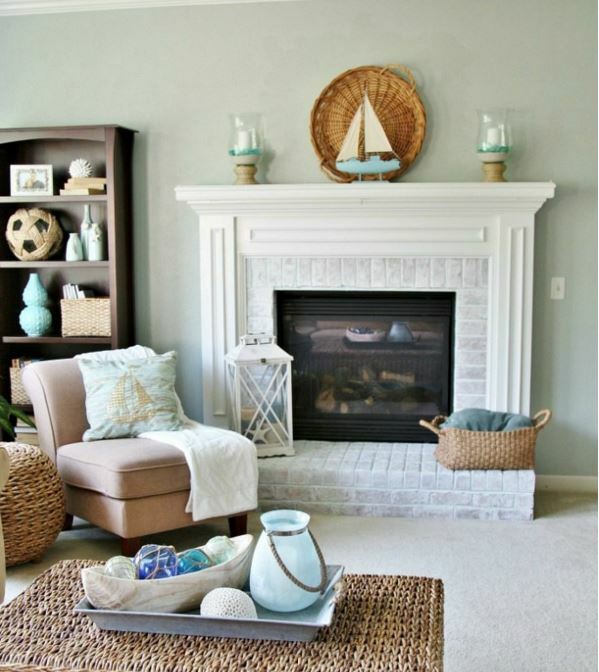 This living room from Sand and Sisal offers lots of traditional nautical décor with just a hint of light blue. The natural wood wicker is an excellent accent to the room and adds a subtle casual touch. The wicker theme is carried through the room with baskets strategically placed on the book shelf and mantle areas as well. We also enjoyed the sailboat theme coming together through the throw pillows and mantle piece. This room is an excellent example of how decorating can be kept simple yet classy. One of the best ways to liven up a room is through smaller pieces of furniture that pack a huge punch. 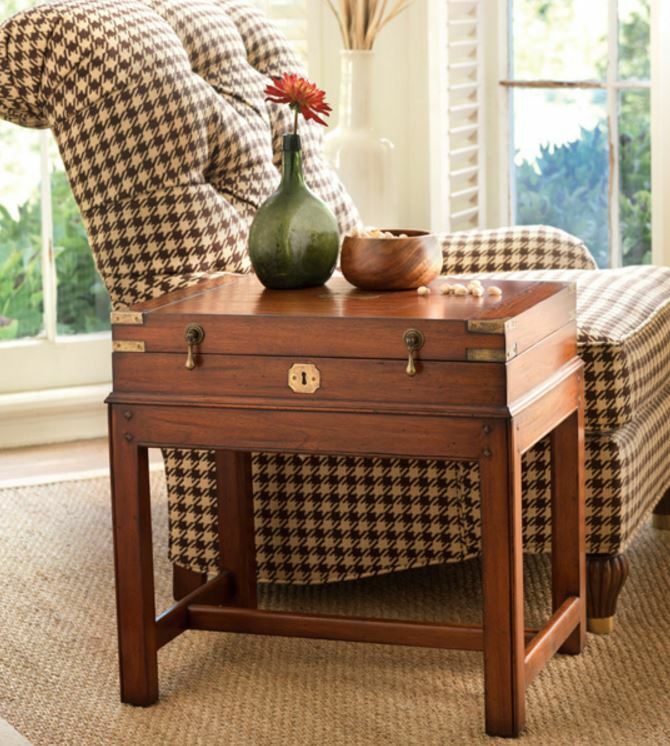 This piece from our very own Cottage & Bungalow collection offers the elegance of a handcrafted, high-quality end table with the design that will perfectly match any décor imaginable. Choose the color that best matches your existing décor and place one table at either end of your sofa for your family and friends to enjoy. Built from exquisite pieces of the finest mahogany, great care is taken by these master craftsmen to pay close attention to every detail. From the construction, to the hardware and finish, you are guaranteed nothing but the best. This table adds the look and feel of an antique and will quickly become your most prized possession. 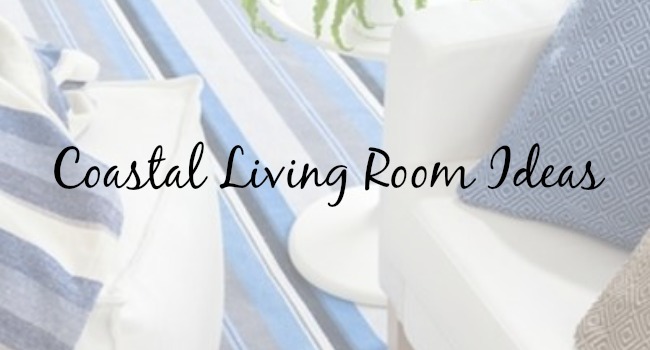 These are just a few of the hundreds of coastal living room ideas we came across that we feel best represents a wide variety of décor options. 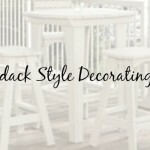 Whether you’re looking for classic simplicity or a more rustic, antique look, creating the perfect relaxing environment for you and your family doesn’t have to be complicated. A little splash of color, a few throw pillows, a wall hanging or an end table can help make your living space a place where everyone will want to gather.